It can be a little hard to figure out what goals you might even want to have in the new year. Sometimes I’m left stumped! But in this months Illustrated Faith’s bible journaling kit, Shanna leads us through 8 different goal ideas. One goal I have this year is to fit some me time in! In 2017 I didn’t get to bible journal as much as I would have liked to… I sure hope I get to journal more in 2018! One way I’m going to try to get more journaling in, is to keep it simple and supplies easy to get to. Another reason why I love these kits are STICKERS! I love using stickers in my bible journaling entries. It’s an easy way to add color and fun without a lot of thought. I’m head of heals in love with these diamond stamps! I have so many ideas to use these guys all over my pages! Aren’t they so cute?! If you are new to the Illustrated Faith kits, a set of stamps come in each kit! Add some ink and you are all set. Tip: I like to use the back of my ink lid to attach/cling my stamps when I’m using them if I don’t have an acrylic block handy. And just like years past, I’m adding these little cards to the pack of my bible, however this time I’m writing the page numbers of the entries that go along with this kit underneath the little cards. Brilliant right?! AND I plan on using that month’s washi as a tab on every page I journal for each kit, so it’s a quick way to find those entries. 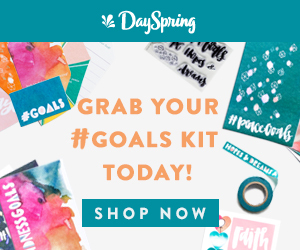 Dayspring sent me this kit to review for free. I want to thank you for supporting my blog and family!